Brush off your garden gloves and dig in the dirt with the Franklin Downtown Partnership and the Franklin Garden Club on Saturday, May 17. The 11th annual Beautification Day will run from 9 a.m. to Noon, rain or shine. Volunteers and donations are needed to help make this project a success. This year organizers were extra thoughtful when planning the plantings, choosing flowers and a blue and pink color scheme with recent community events and the streetscape construction project in mind. Pink and white petunias and blue and white Lobelia, provided by Fairmount Fruit Farm in Franklin, are colorful and hardy plants that should last all season in full sunlight and a harsh construction environment. The flowers will be displayed in boxes on the bridges and in front of some downtown businesses, but not in planter barrels on the center island this year due to road construction. Volunteers will also plant flowers and mulch the memorial gardens on the Town Common. Residents, especially students in need of community service hours, who are interested in volunteering should contact Eileen Mason at emason11@verizon.net. Volunteers will meet at 9:00 a.m. on the center island in front of the Rome Restaurant. Anyone with a pickup truck is asked to help transport plants from Fairmount Farm at 8:00 a.m. Each year, Franklin Ford donates the use of their truck, which is a huge help to volunteers. “We’re fortunate to have the help of the Franklin High School hockey teams and a great group of volunteers from the YMCA helping again this year. This is a wonderful opportunity for the community to create a welcoming image,” Mason adds. Sponsors and donations are needed to help offset the costs of the Beautification Day committee’s year-round planning, growing, planting and maintenance efforts. For as little as $150, businesses or residents can be a bronze sponsor. Watering help will also be needed in the greenspace garden across from the Mega Bites Deli. Gold and platinum-level sponsors will have their names prominently displayed on signs for the 2014 season. Silver sponsors will have their name displayed on a group sign for the remainder of the year. Details about sponsorship can be found at franklindowntownpartnership.org/. 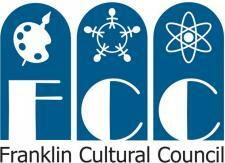 The Franklin Downtown Partnership is a non-profit, 501(c)3 organization and all contributions are tax deductible. Please make checks out to: Franklin Downtown Partnership, P.O. Box 413, Franklin, MA, 02038. For more information about the Partnership, membership, or the FDP’s mission, projects and events, contact Executive Director Lisa Piana at (774) 571-3109 or downtown.franklin@yahoo.com, or go to franklindowntownpartnership.org/.